How to ensure real-time and reliable info about location, movement and maintenance status of the assets? Do You Have an IoT Project We Can Help With? BluEpyc is the Business Unit of Softwork Group – Value Added Technology Provider, focused on wireless technologies, above all Bluetooth Low Energy (BLE), a wireless technology based on a standard (see Bluetooth SIG) and developed to fulfill the IoT interoperability need (its main features are the wireless communication range up to 100 meter or more and the low energy consumption between the connected devices due to the small quantity of data to send). In addition, BluEpyc guarantees advanced wireless solutions, due to producing its own family of customized devices designed by the R&D Dept. and developed by an experienced project managers team and a network of certified resellers. 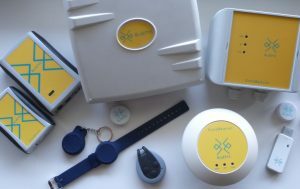 The BluEpyc family of BLE devices is composed by Gateways, EchoBeacons and Beacons available in different housing. Each device has specific technical features and ideal performances for different scenarios. 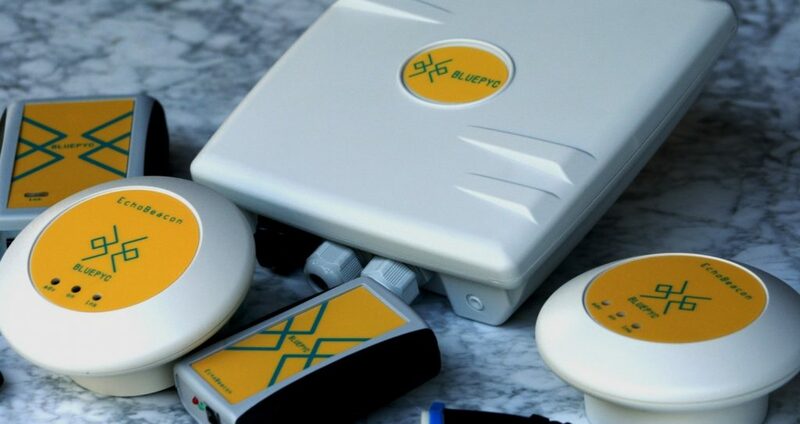 BluEpyc BLE EchoBeacon is a BLE signal repeater, allowing to build BLE systems for wide indoor localization, where detailed data capture, easy installation and low cost are required: the EchoBeacon receives Beacon’s data and forwards them to the BLE Gateway within a distance up to 100 mt. BluEpyc BLE Tag Beacon: a wide Beacon range, even custom designed (upon request) by the R&D Dept., based on the specific requirements and needs of the project, to be fixed on items and wearable. BluEpyc BLE Starter Kits simplifies BLE projects with Small, Medium and Large Kits: BLE Gateway, EchoBeacons, Beacons, Library, SDK, Drivers & Sample Apps. We believe innovation creates value not only thanks to a smart technology, but also using an original way of thinking: unconventional means not accept the first solution, it means avoid shortcuts and be brave in looking always for new paths. How is our “unconventional way of thinking” related to BLE technology? The standard BLE architecture is typically composed by fixed Beacons and mobile devices (e.g. smart phone), which receive data from Beacons and managed by an App. Our unconventional vision is based on a reverse concept approach, in order to create in an easy and competitive way an active RFID system suitable for automatic identification and localization of persons and objects. In other words, our untraditional BLE architecture works in an opposite logic compared to the usual one: moving persons or objects are equipped with tag/Beacon and fixed readers/Gateways are installed in the monitoring area, detecting data from different tags. Education (BluEpyc Academy), continuous trainings and research complete the basis of our growth model. To become an international benchmark in the fast growing IoT industry, to contribute to the development of this sector and, at the same time, to improve the lives of the people through proximity solutions.